commemoration of the deceased on the 1st and 2nd of November. our dearly beloved ones who have passed. 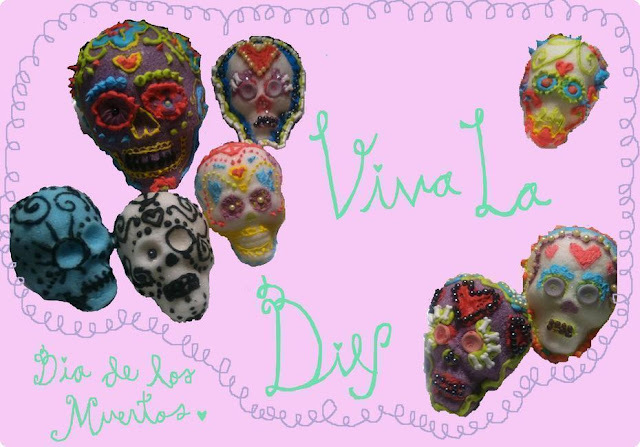 Here's an easy DIY to make your very own festive sugar skulls! Mix dry ingredients together, add water and mix thoroughly. Pour the mixed solution into the mold, pack tightly. lift up for the molded sugar to come out and sit in place. Leave out to dry for a minimum of 8 hours or overnight. Beat all ingredients together until stiff. Icing should be able to form peaks. 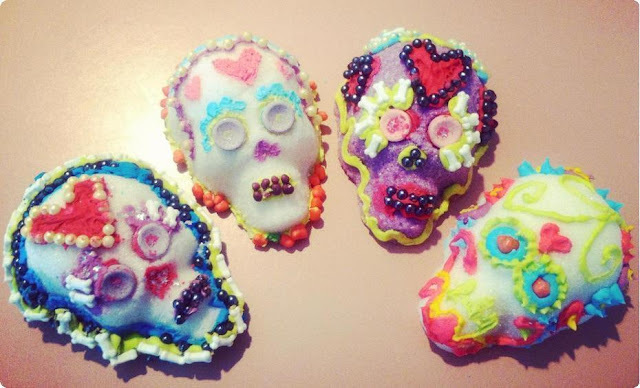 incorporating candy to use as beading and detailing.